As a quality focused firm, we are engaged in offering a high-quality range of Distressed Mercury Glass Bowl. King International Crystal Glass Bowls are the most durable, most beautifully designed and best-manufactured glassware on the market. 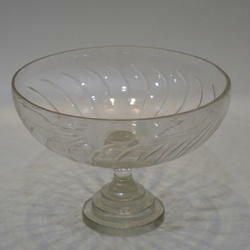 A wide range of Designer Glass Bowl is manufactured & exported by us. Designed in the shape of apple these bowls are framed by colorful beats. These products enhance the décor of the rooms as well as represent soothing style. 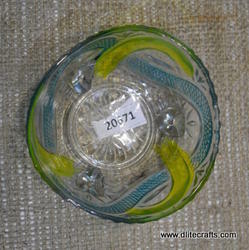 Item Size: L-11", W-8", H-4"
Fine Glass Mosaic Bowl Available In Different Designs Sizes. Our expertise also lies in handling the demands of Decorative Glass Bowls that are designed to impress right at the first glance. It has been provided with the best taste of color and design options. The design has been provided with quite different touch from others. We have gifted it with a luxurious touch under the guidance of our experts so as to make these even more expressive. Glass Bowls used for Fruit Bowls ..
keeps in Kitchen & Dinning Tables as well.